The children went back to France with their papa for a 16 days annual summer vacation. 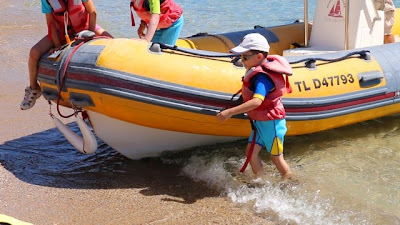 The little ones love their trips back to the south of France where they would enjoy being in the Mediterranean Sea every single day, sometimes twice a day! This year, my mother in law had signed them both up for sailing classes. We had to go through a couple of hoops to get Loic certified by a French swimming instructor in Singapore so that he could be allowed to take the sailing course but it was all worth it. 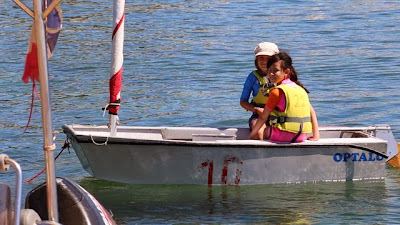 On the first day of the sailing lessons, the girl was able to go out in an optimist sailing boat together with another little girl as her partner. 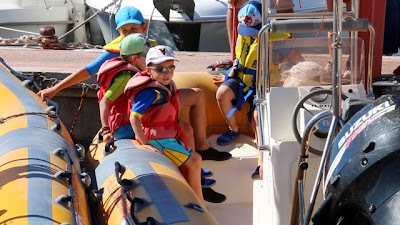 The boy, however, did not get to sail as the winds were too strong for the 5 year olds to manage. Instead, the sailing coach took all the smaller kids out to sea in a motor boat. The boy had fun with that too. He just love being out in the sea. On the second day, unfortunately, the little ones were again unable to go sailing and so, had to take the motor boat again. The bigger kids, including the girl, learnt how to set up the optimist to get it ready for sailing. They had to carry the mast, the sail etc, they learnt how to tie the knots to secure the sail. 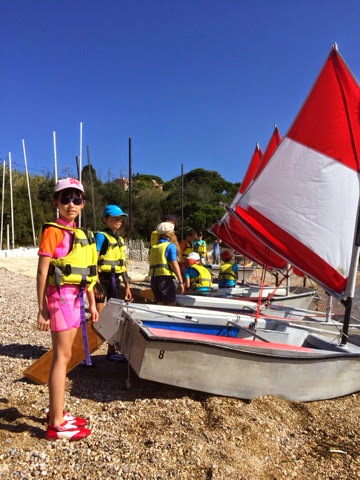 In the sail boat, they learnt how to turn the boat left and right and how to catch the wind. It was a basic five days course to teach them the foundation to sailing and to see if they would enjoy sailing as an activity. It has great significance for hubby and his family because they used to go sailing every summer holiday for at least four weeks. 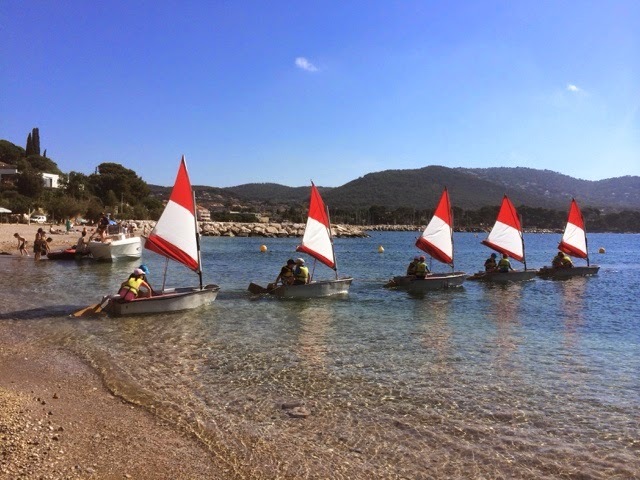 To have the children enjoy sailing as well would allow the children to share some similar passions as the family in France. And now that they are back, they have been asking to go sailing again. I would need to explore if they could at their young age and without us joining any sailing club membership. Would be happy to know if you know of a place we could go to.